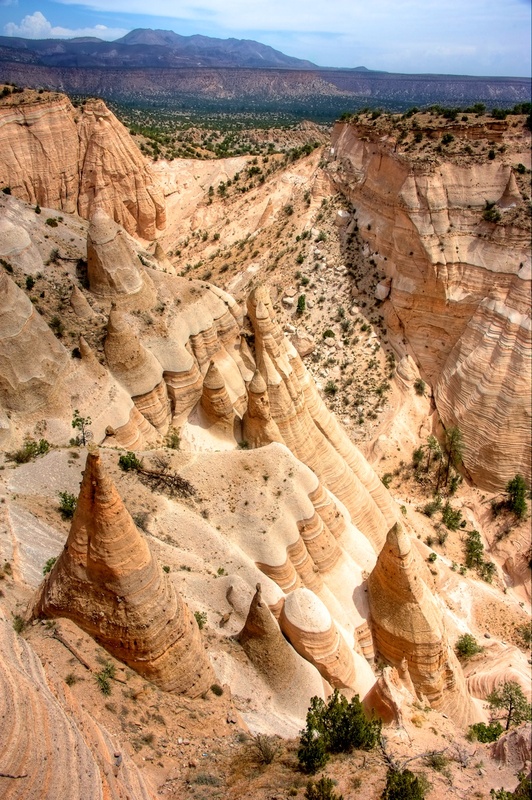 Day 2 of Santa Fe week: The Grand Vista of Tent Rocks! Tent Rocks is an amazing place. 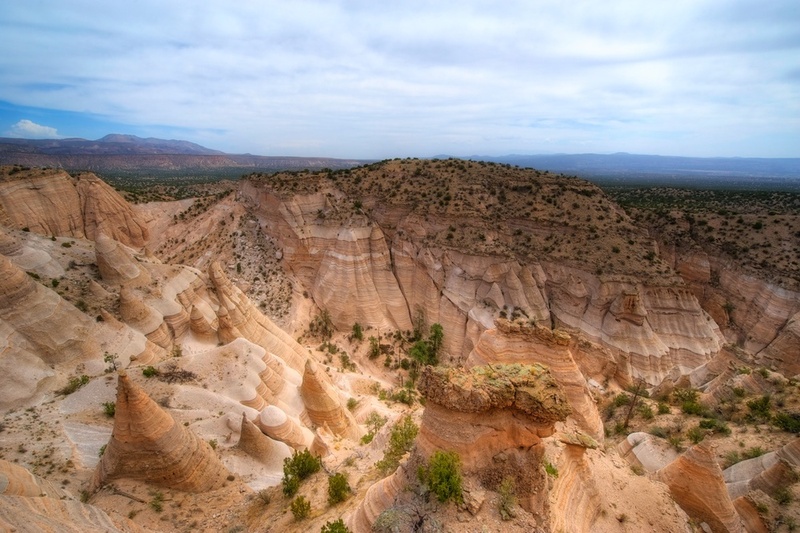 It's less than an hour away from Santa Fe, but well worth the drive. It's almost like being on another planet. The landscapes are incredible and the Tent Rocks themselves are so interesting. They are these cone-shaped rocks you see in the foreground. I had hiked up to the top of the mesa - a little bit of work, but well worth it - in hopes of getting a great view of these strange and interesting rock formations. I have so many shots from the mesa top - it's actually a long and winding ridge up there - but wanted to start with this one, since it gives a good POV on these formations. Here's another one, this one in landscape orientation instead of portrait, but from about the same spot.